Welcome to the Carnival of Space, Episode 346. There is a lot going on in our corner of the universe this week so let’s get right to it. We star with an article from Dear Astronomer about some potentially bad news. Frequent visitors to the NASA Live ISS Telemetry website ( http://spacestationlive.nasa.gov/ ) have spotted an official notice stating the site will be shutting down in two weeks. Learn how you can show your support for this site, and try to help prevent its shutdown. Some stars take a licking and keep on ticking. The Chandra X-ray website looks at a star that took a beating and lived to tell the tale. 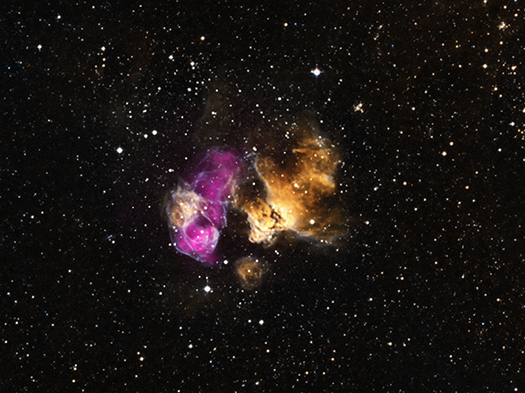 Hardy Star Survives Supernova Blast. The Chandra site also has news about their new leader. Dr. Belinda Wilkes Chosen To Lead The Chandra X-Ray Center. The Urban Astroner takes some reader questions and provides some awesome answers. A reader wrote to ask whether space is a hot place, or cold. Urban Astronomer explains how it can be both. Now that is what I call MEGA Pixel. Or in this case super-duper-mega-pixel. A mosaic composed from over 10,000 images from the Lunar Reconnaissance Orbiter. 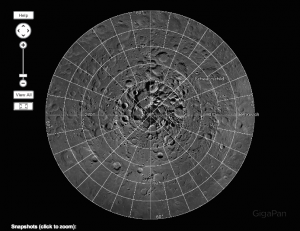 The LRO team reveals a Gigapan view of the Moon. CosmoQuest continues with a look at the happenings at the Lunar and Planetary Science Conference. Check out their MoonMappers results available at the site. CosmoQuest’s contributions to this week’s Lunar and Planetary Science Conference, plus where you can catch up on all the conference tweets. Universe Today brings us a pair of near Earth articles. 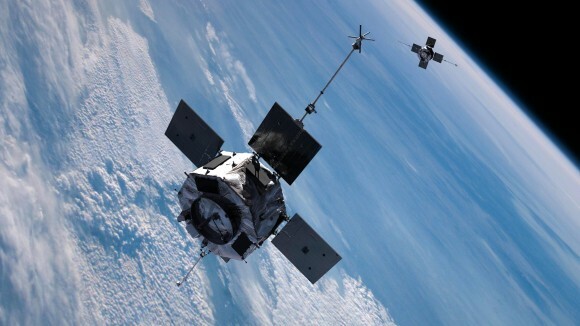 The first deals with the latest radiation findings in Earth orbit. Earth’s inner radiation belt displays a curiously zebra-esque striped pattern, according to the latest findings from NASA’s twin Van Allen Probes. In space, life is a lot of hard work with a great view. But, when there’s a Dragon spacecraft coming your way at the International Space Station, you’d better be ready to grapple it with a robotic arm. For if there’s a crash, you will face “a very bad day. Universe today’s second article take at look at what goes into catching a Dragon. The Meridian Journal takes a critical lens to the new Cosmos series. With all the hype surrounding it, does the show live up to its potential? Cosmos 2.0: a space science classic rebooted for the 21st century – a review. Follow an Astronomy trip through the some of the most beautiful terrain on planet Earth. CAMBODIA POST #6 is the last in a series of 6 posts on Astronomy in Cambodia. Enjoy all the posts and pictures on Links Through Space. Finally, we top of this week’s entries with another article from Urban Astronomer. This time an answer to a reader’s question about Blue Moons. The mystics and the prophets are making a lot of noise about Blood Moons. A reader wants to know what that is, and Urban Astronomer tries to figure it out. That’s it for this edition. Be sure to look for more Carnival of Space – coming next week from a website near you!